My family of four is about to embark on a cross-country move for the fifth time in seven years. The process has changed a lot over the years as we added kids to the mix and as they’ve grown. This move will take us from Central New Jersey to our home base in Kansas City, Missouri where we have a house. It will be unlike any other move with our kids because they are both potty trained now, there are no pack-n-plays required and everyone has the vocabulary to express motion sickness (though we hope they don’t have to use it). We plan to hit the road early tomorrow for a 4-day road trip to Iowa where we’ll have a short visit with family before making the final 5-hour drive to our house in Kansas City. We’ve spent the past few weeks preparing our house, ourselves and most importantly, our kids, for this transition. you’re uprooting them and moving more than 1,000 miles across the country, the transition can be downright traumatizing. That’s why I try to keep my kids in the loop as much as possible when it’s time for our family to move. At ages 2 and 4, it’s difficult for them to grasp the concept of time. That’s why I encourage them to make a paper link chain to represent the time we have left at our house before the move. Each link equals one day. Then in the mornings, the kids take turns tearing a link off. As the chain gets smaller, the kids can visually see that Moving Day is drawing near. Each place we live, there are people who become near and dear to us. Leaving those people is perhaps the most difficult part of being gypsies. For the kids, I th ink it’s important to understand the finality of our last encounter with these people while being careful not to play into the doom and gloom too much. My oldest doesn’t like to deal with strong emotions so when she feels deeply, she pretends she feels nothing at all and keeps everyone at an arm’s length. My youngest, by contrast, is a sensitive soul and freely whimpers and cries when faced with upsetting situations. So for this move, I spaced out our farewells. I let them say goodbye to their gymnastics teachers and take photos with them two weeks before the move. Then a week before, we met up with friends and had final playdates. Lastly, I helped them make a poster to thank the staff at the gym daycare who they have grown very close to – especially one girl who babysits them, on occasion. When you’re taking kids on a road trip that will last nearly a week, I’ve found that it’s pretty essential that you be ready for anything. That means stock the first aid kit and bring more underwear than you should possibly need. Things happen. It’s also important to bring enough activities to occupy your kids for the duration of the journey. For this trip, we are equipped with coloring books, preschool workbooks, dry-erase boards, toy phones, small crafts, snacks, movies and two iPads. I also stumbled across a kids’ road trip kit on clearance at my local Five Below store and paid a whopping $2.50 for it. Score! 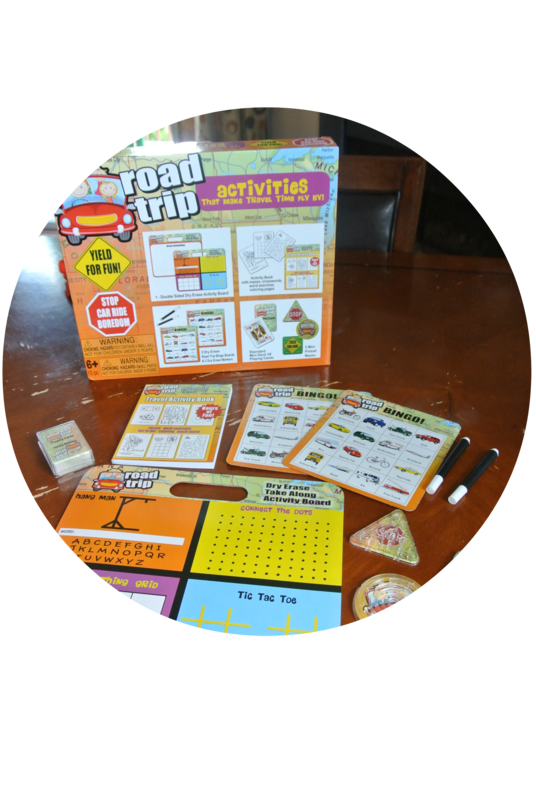 For more road trip tips, check out this past post from The Moving Mom. Check back to The Moving Mom over the next few days to find out how the Shedek family move is going, where we’re at and what shenanigans we’ve gotten ourselves into! 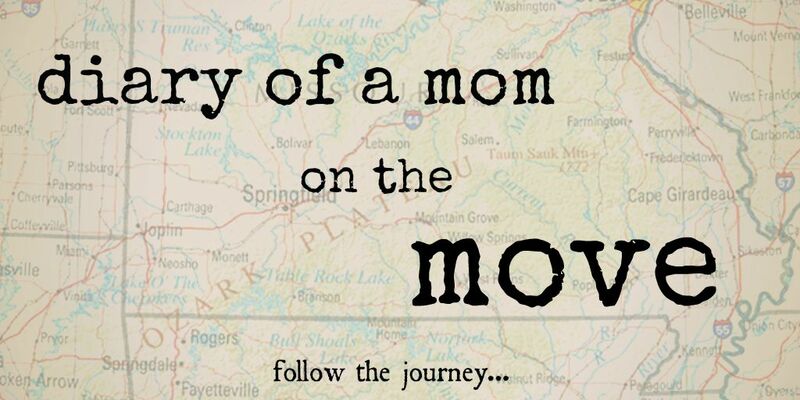 Follow us on Facebook and Twitter @themovingmom for additional updates. Awesome apps that will make your move SO much easier! Drive careful! Hope to see you in Kc!